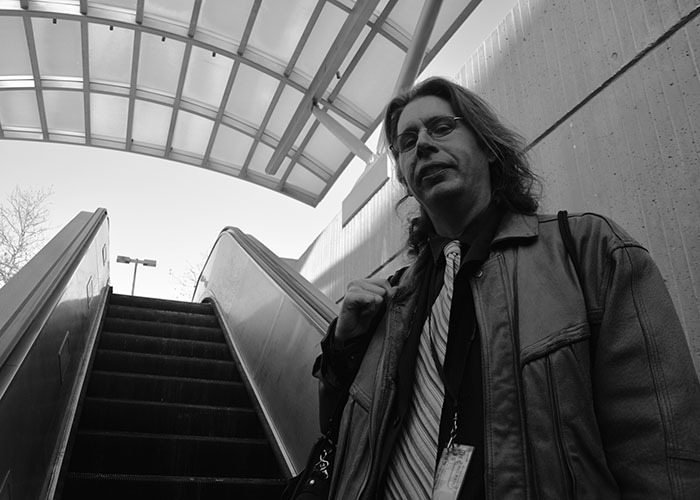 Gregory Sanders is a long time public transit advocate and the vice president of the Purple Line NOW coalition. His father, Harry Sanders, first proposed the Purple Line. This is the first part in the series “Purple Line Divided” by the Capital News Service. The $5.6 billion Purple Line light rail project is moving ahead, but not without hardship for some residents and business owners. Photo provided by Barbara Sanders. When Gregory Sanders was a child, his father, Harry Sanders, would take him to the railroad tracks by their Silver Spring home. There, the two would walk the nearby state-owned CSX trail and catch sight of a coal train as it sped off to a heating plant in Georgetown, on the other end of the tracks. It was the 1980s. Both were infatuated with the train and how fast it was. Harry Sanders, a transportation advocate, would think about how cool it would be to travel downtown by a faster, more convenient mode of transportation. Meetings in the Sanders’s living room followed. Gregory helped his father pass out fliers about the Purple Line around Metro stations around the age of 5, his mother, Barbara Sanders, said. Harry would attend conferences on public transportation around the country on his own dime. He took transportation planning courses at the University of Maryland and visited light rails and trains around the country and in Europe while on vacation with his family — all to study the possibilities. Little did they know that 30 years later, Harry Sanders’ idea for better transportation near his family’s home would blossom into the Maryland Transit Administration’s newest transit project, the Purple Line — a 16-mile light rail system with 21 stops running from Bethesda to New Carrollton. Praised for its plans to connect Prince George’s and Montgomery counties, the $5.6 billion light rail system will accommodate transfers to the red, green and orange Metro lines, and will link to Amtrak and MARC trains. Construction is set to begin as early as later this year, with the transit line being fully operational by spring of 2022. Harry will never see any of it, much less ride the Purple Line. He died of kidney cancer in 2010, at the age of 63. But his family and longtime supporters are watching as the long-anticipated dream inches closer to coming true. For others, however, it’s a nightmare. More than 500 properties within Montgomery and Prince George’s counties will be affected by the light rail line. Some will be affected temporarily by construction, but for others, the state has been buying out properties and forcing residents and business owners to move. Businesses in Montgomery County will be hit the hardest. Nearly 50 businesses with a little more than 200 employees are being asked to relocate. In Prince George’s County, more than 10 businesses and 40 employees will be displaced. But the bigger impact in that county is on the residents, with more than 20 single family homes being acquired by the state. Some business owners have known about the Maryland Transit Administration’s plans for years and are waiting for the final decisions. The Maryland Board of Public Works gave final approval of the project on April 6. Deborah Hyman, 63, owner of the Silver Spring shop Signs by Tomorrow at the Spring Center shopping center, said her business has been at a standstill ever since she first received notice of the Purple Line’s plan to acquire her property years ago. The state, she said, is doing businesses owners a disservice. “We cannot decide to make any renovations to our stores … because if we choose to do that, then it could be tomorrow that we get the letter that says you have six months to move,” said Hyman, whose business has been in the strip shopping center mall on 16th and Spring streets for more than 20 years. Delmar Nelson, optician and owner of Crest Opticians at the Spring Center, first heard about the Purple Line more than 10 years ago and said business has since slumped off. After 50 years as the owner of Crest Opticians, Nelson is ready to retire. Numerous partial acquisitions throughout Montgomery County will also make way for the construction of 10 stations in the county — two of which will allow riders to transfer to existing Metro lines, at the Bethesda and Silver Spring stations. More than 70 residences will have parts of their properties affected — some being taken, some rented, according to documents provided by the Maryland Transit Administration. Construction for one new Purple Line station, Long Branch, will take place just feet away from Wanderly Calderon’s home in Silver Spring. The light rail will travel underground through a tunnel and will surface across from the residential parking lot adjacent to Calderon’s home. Calderon, a resident of Arliss Street and the president of the Arliss Street Townhome Association, said transportation officials notified her that a portion of her front yard will be taken for construction, which could block access to her front door. “It is going to be a nightmare,” she said. Others in the neighborhood fear the congestion the Purple Line construction could bring will be bad for business. Carlos Perozo, president of the Long Branch Business League and owner of ZP Tax on Flower Avenue, said too much traffic caused by construction may turn his customers away. He also worries that the Purple Line will raise property and living costs, affecting a community comprised of immigrants and minorities. Del. Ana Sol Gutierrez, D-Montgomery, a proponent of the Purple Line, said rising costs are inevitable, but it’s not a “Purple Line problem” — it’s a problem of affordable housing. Local governments should study and look into the different options for people who may be priced out of the area, Gutierrez said. Wise Lampkin, an 84-year-old widower from East Riverdale, Maryland, will lose his home where he created memories with his family for more than 20 years. Wise Lampkin was hoping to pass his home on to his children. Instead, he’ll surrender it to the state this year. A relocation assistance program document provided by the Maryland Transit Administration said that the owner of a home may be eligible to receive payments to help purchase a replacement home as well as assistance with any moving costs or increases in mortgage payments if asked to relocate. But the emotional effects of being relocated can sometimes be more debilitating than those that are financial. Barbara Sanders and son Gregory have since followed in Harry Sanders’s footsteps, actively showing support for the Purple Line project. “He had a vision that inspired other people, and he tried to work with communities to see how things could be worked through. That’s a piece of what I’m trying to do,” Barbara Sanders said. Gregory Sanders, 36, also an advocate, said he has seen his father’s efforts manifest into his life in many ways. Gregory Sanders takes the MARC train every day from his home in Ellicott City to his job at the Center for Strategic and International Studies in Washington. He visits public transportation systems while on vacation, just as his father had, including in Hong Kong, Japan and Egypt, and saves transit passes as mementos. 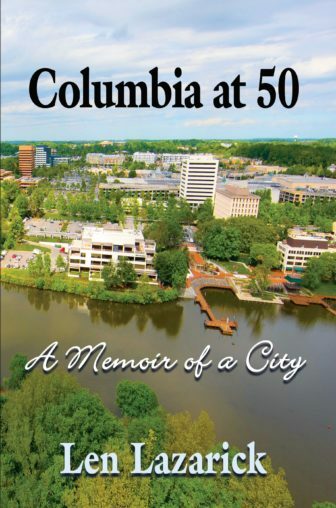 He still remembers handing out literature about the Purple Line at Metro stops and festivals with his father, and walking the abandoned trails where the light rail will be. Gregory Sanders has advocated for the light rail project for nearly a decade with the Purple Line Now advocacy group. As the vice president for nearly a year, he dedicates around 10 hours a week to leading the organization’s efforts to see the Purple Line through to its conception via events and promotion on social media. His involvement, he said, has been one of the proudest things he has done in his life. “It’s ridiculous that it takes multiple generations to get it done, but I still think it was all worth it,” Gregory said. Proponents of the Purple Line point to jobs, further development of surrounding communities and the expected decrease in commute times. Gutierrez called the Purple Line a “social win-win” for immigrant, Latino and lower socioeconomic communities who will be able to use the light rail get to better paying jobs. Gov. Larry Hogan’s administration predicts that the Purple Line will create more than 23,000 jobs over the six-year construction period, and will provide access to major job centers, including the University of Maryland, College Park; downtown Silver Spring; and downtown Bethesda. The ridership is projected to include 74,000 riders by 2040, according to the Maryland Transit Administration. State Sen. Jim Rosapepe, D-College Park, sees the Purple Line as a tremendous asset to the metropolitan area and sees the potential development as a positive for the college town. “We want more residential and commercial developments at our Metro stop. We want more, both office development and commercial development, on Route 1,” said Rosapepe, who said that new transportation choices would provide more options for the 4,000 people working in the College Park area. Four light rail stations are planned for College Park. Rosapepe said he sees this as a way to ease traffic and parking issues that surround major events on campus, such as sports games. New light rail stations that will be built in Langley Park and Riverdale Park will mean that working people will have hugely improved mass transit options in the community, Rosapepe said. Langley Park, home to one of the largest Hispanic populations in Maryland, had a 12 percent unemployment rate in 2010, the second-highest rate in Prince George’s County. By 2040, Montgomery County is projected to have a 43 percent increase in jobs from 2010, according to a 2011 report by the Metropolitan Washington Council of Governments. For Prince George’s County, a 32 percent increase has been predicted. Gregory Sanders said that decreasing commute time is a large part of escaping poverty. But most of all, Gregory Sanders argues that the Purple Line will make the surrounding communities stronger and more connected. His father fought for it for a very long time.